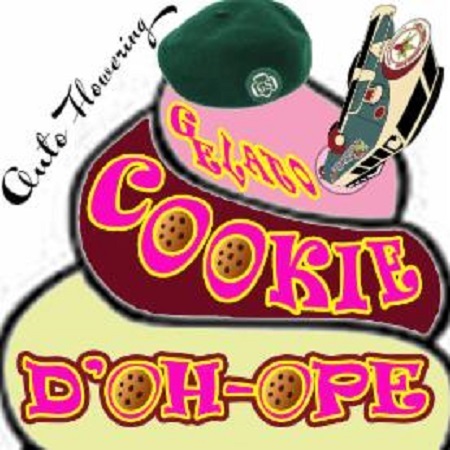 Gelato Cookie D'oh-Hope Auto Feminized Cannabis Seeds by Dr Krippling Seeds: Ground breaking, glorious, grand, generous, gluey, gigantic genetics ‘av gone into the Triple G range. Grand Heft Auto’s genetics main characteristics of its big composition and heavy yields crossed gracefully with a specially sought and sensational Girl Scout Cookies Auto Strain that Team Krippling have specifically selected. Whilst stabilising this strain again with the GHA a number of times, we also crossed a generation with an amazing Gelato Auto….. and along came Triple G 3 aka Gelato Cookie D’oh-Hope. GGG3’s flowers are super stinky and tantalisingly tasty.